Part of the Highways Agency’s £105m A11 dualling project, the new bioengineered ‘Green Swale Grass Channel’ attenuates road runoff water, filters suspended solids, and traps hydrocarbons and heavy metals, significantly improving water quality. Last autumn, Balfour Beatty awarded Salix the £300,000 contract to ‘green’ the channel, following the company’s previous works on the A120 and a trial section undertaken in June 2014 on the A11. “Due to the presence of special protection aquifers in this area of the A11, the Highways Agency’s environmental statement required a green drainage solution to slow the flow of water and help cleanse hydrocarbons, salt and other road pollutants carried by the water before it reaches the soakaways. The new drainage channel consists of a layer of Type 1 granular material placed over an impermeable liner. 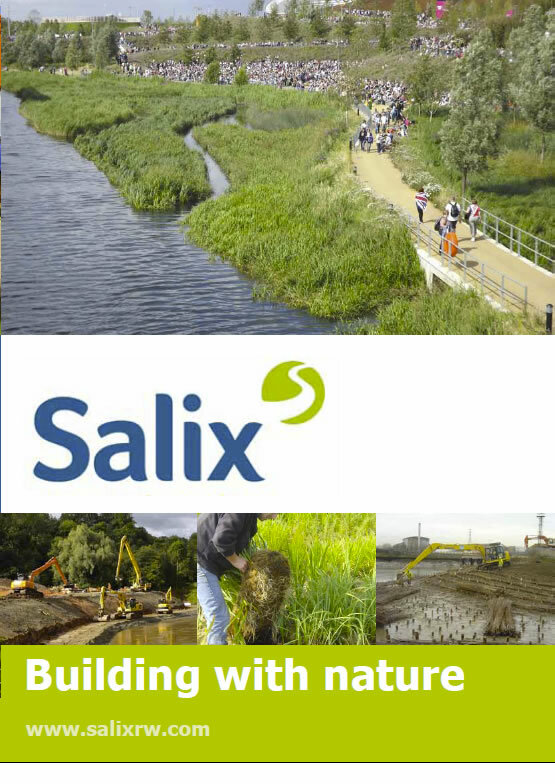 Balfour Beatty brought Salix in to deliver a solution that would not only vegetate the Type 1 fill, but would also prevent further erosion while the grass established. “We’ve previously worked with the Highways Agency and the Transport Research Laboratory to develop this greener solution to both attenuate and filter road water runoff, and to see such a large scale project working is an exciting advance. A hydraulic erosion control solution, HydraCX was sprayed onto the Type 1 fill. It includes a grass mix specially selected to tolerate the harsh roadside conditions. It is fully biodegradable and consists of interlocking straw and cotton fibres together with polymers and tackifiers to aid erosion control and provide an organic layer over the fill surface so that grass seed can germinate within. Bionet C125BN coir layer covering the new green drainage channel on the A11. The Bionet C125BN will provide erosion control while the grass establishes and will last for at least two years before fully biodegrading. Its unique ‘Leno’ weave mesh provides enhanced erosion control performance compared to other biodegradable products. Salix then scattered a very thin layer of soil over the top of the Bionet to help weigh it down, creating good contact with the HydraCX beneath, adding a little nutrient, retaining moisture and preventing potential fire hazard whilst the vegetation establishes. Work on the project started in July and Salix completed the installation of 50,000m2 of green channel in December. Salix will be returning in early Spring to fertilise the grass again, helping it establish in a harsh environment after its first winter.